For Darcy Doege, R.N., B.S.N., of the Levine Cancer Institute, finding cancer early in patients means hitting the road. Darcy has seen firsthand how the mobile unit is driving change by bringing state-of-the-art cancer screenings to populations in need. “When you’re able to connect with patients on their turf and in their community, they’re more willing to receive care,” Darcy says. Historically known as the Tobacco Belt, North and South Carolina share some of the highest incidence and mortality rates from lung cancer nationwide. Lack of transportation to medical facilities, inability to secure the support resources necessary for adequate preventive care and poor understanding of risk factors block thousands of Americans from receiving necessary preventative care. As part of her job, Darcy travels extensively with the unit from the mountains of Appalachia to the Atlantic beaches, meeting patients and interacting with medical staffs at clinics along the way. The goals of the unit are to reduce the stigma of smoking, focus on screenings and early detection and ensure patient follow-up is the number one concern. 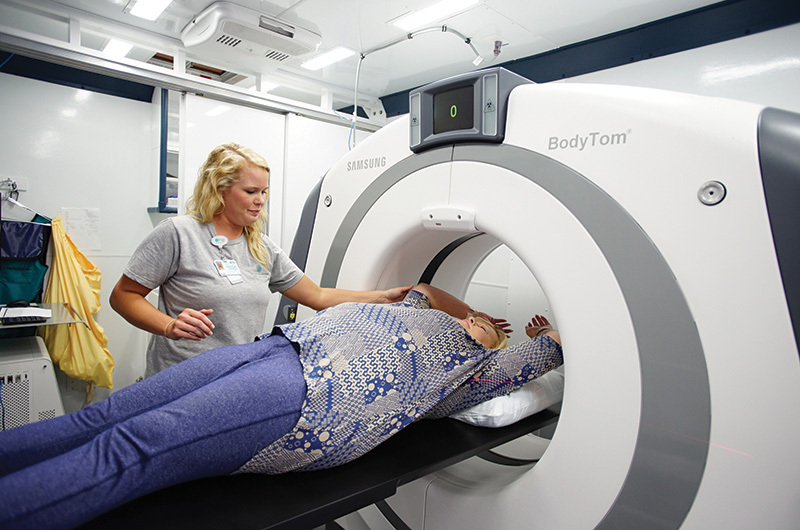 For many people who receive a screening in the mobile unit, this is their entry point into the healthcare system. 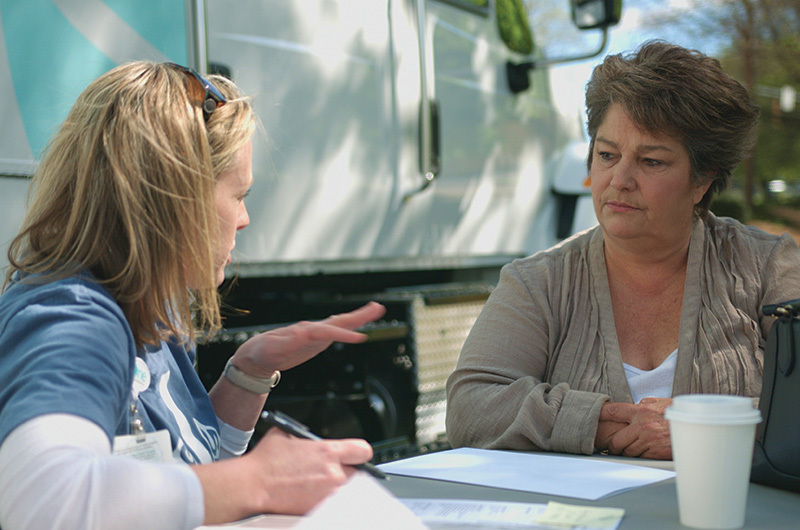 Patients are assessed and connected to resources in their community before the screening date. 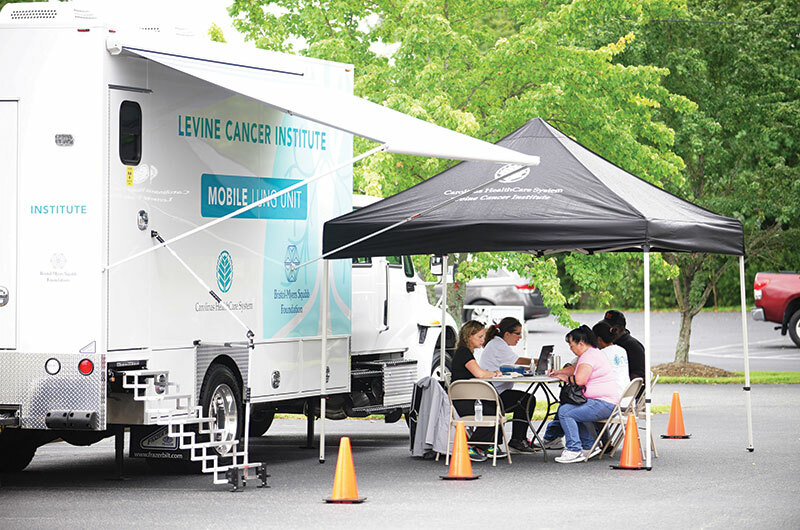 Once patients receive their screening, they are connected to smoking cessation resources and offered other free screenings through the Levine Cancer Institute. Every patient is navigated closely by Darcy, who maintains contact every step of the way. Nursing was a natural fit for Darcy, who as early as high school knew she wanted to pursue a career that helped others. She began her nursing career as a medical-surgical nurse, followed by time spent serving patients in intensive care. But being a nurse navigator has allowed her to make even more of an impact, she says. And the best part of the job?